The NBA dropped a heavy hammer on Los Angeles Clippers owner Donald Sterling. He has been banned for life from the league. He was fined $2.5 million. And league commissioner Adam Silver said he will work to force Sterling to sell the team. What happens now to the finances of the team and to Sterling's personal fortune? First, a sale would likely mean a huge payday for Sterling, who has become one of the most reviled team owners in sports. But it's not clear that Silver will be able to force Sterling to sell. Such a move requires the support of 22 of the other 29 owners. Many of them might be nervous about setting such a precedent, although Silver said Tuesday he expects to win that vote. The Clippers team is worth $575 million, up from the $12 million Sterling reportedly paid in 1981, according to estimates from Forbes, a leading source of data on the finances of professional sports teams. That valuation would mean a 12% annual gain. Other estimates put the team's value much higher, even approaching $850 million. The most recent NBA team to change hands was the Milwaukee Bucks. It sold for $550 million -- 35% more than the team's estimated worth. As for the ongoing finances for the team, a dozen sponsors announced on Monday they had ended or suspended sponsorship deals. But it's not clear how many have actually stopped making payments to the team. Sports marketing consultant Marc Ganis said it's unlikely that sponsor contracts would allow them to cancel due to comments made by Sterling or similar controversies. "[Sponsors] don't want to be connected with a brand as reviled as the Clippers brand is at the moment," said Ganis. "But they still may be required to make payments by the existing contracts." After the NBA announced its actions, two sponsors -- Adidas and Samsung -- applauded the moves and announced they would resume their business relationship with the team. Several other companies said Tuesday afternoon they would monitor the situation and make a decision in the future. Silver said Tuesday he is hopeful he will be able to win them back. "I would say the marketing partners of the Clippers and partners of the entire NBA should judge us by our response to this incident," he said. "I'm hopeful there will be no long-term damage to the league or to the Clippers organization," he said. 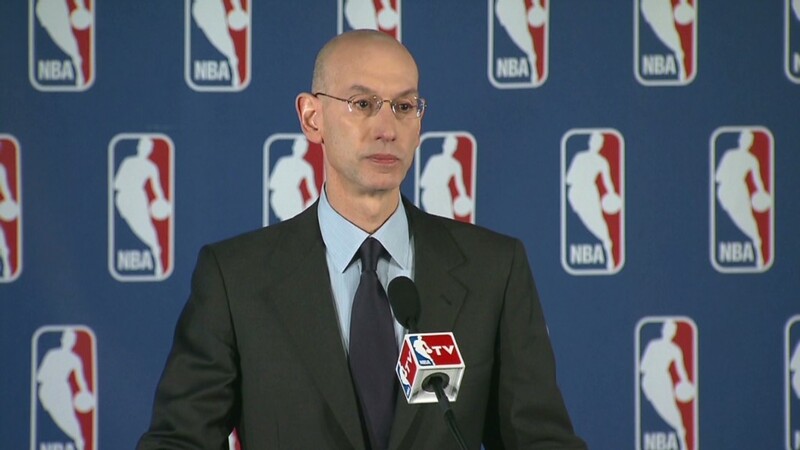 "I can understand how upset [the corporate sponsors] are, and I'll do my best to bring them back into the NBA family." Even if the Clippers take a revenue hit, the team is well positioned to stay profitable. The team already turns a healthy profit on relatively low revenue, according to sports business experts. The Clippers brought in $128 million in annual revenue in the most recent year, according to the most recent estimates by Forbes. That places the team's revenue near the bottom among the NBA's 30 teams. But the Clippers still turned a $15 million profit, Forbes estimates. "This is a team that historically had low revenue and low attendance, and made money in spite of that," said Ganis. And its finances and attendance have improved considerably since the team moved into the Staples Center in 1999. The team has been profitable every year since, according to Forbes. Before the move, the Clippers typically had the worst attendance in the league, averaging just over 10,000 fans a game. Since Staples opened, attendance has averaged 17,162, even though the Clippers had only four winning seasons in 15 years. And as the team became a winner the past three years, its average attendance reached 19,200 a game. Even if some fans boycott the team next year, continued on-court success could keep most of the seats filled. 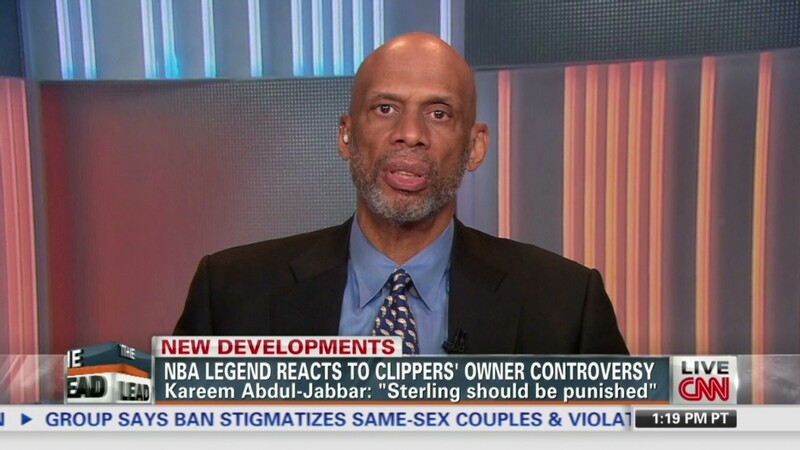 And with Sterling banned, it's likely that many angry fans will again embrace the Clippers. A spokesman for the Clippers did not respond to a request for comment earlier in the day ahead of the announcement.